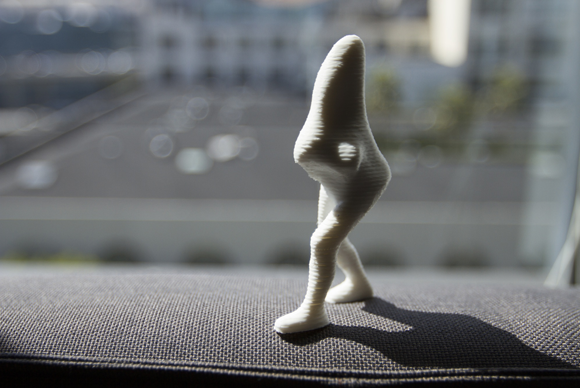 3D printing may have an image problem. It’s sometimes seen as a hobbyist pursuit—a fun way to build knickknacks from your living room desktop—but a growing number of companies are giving serious thought to the technology to help get new ideas off the ground. That’s literally off the ground in aircraft maker Boeing’s case. Thirty thousand feet in the air, some planes made by Boeing are outfitted with air duct components, wiring covers, and other small, general parts that have been made via 3D printing, or, as the process is known in industrial applications, additive manufacturing. The company also uses additive manufacturing with metal to produce prototype parts for form, fit and function tests. Whether it’s the living room or a corporate factory, the underlying principle of 3D printing—additive manufacturing—is the same. It’s different from traditional manufacturing techniques such as subtractive or formative manufacturing, which mainly rely on removing material through molding, drilling or grinding. 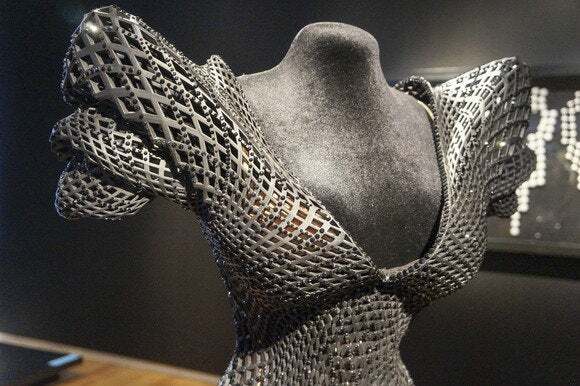 Additive manufacturing instead starts from scratch and binds layers of material sequentially in extremely thin sheets, into a shape designed with 3D modeling software. Please, we call it "additive manufacturing"
Boeing has been conducting research and development in the area of additive manufacturing since 1997, but the company wants to scale up its processes in the years ahead so it can use the technology to build larger, structural components that can be widely incorporated into military and commercial aircraft. For these larger titanium structures that constitute the backbone of aircraft, “they generally fall outside of the capacity of additive manufacturing in its current state because they’re larger than the equipment that can make them,” said David Dietrich, lead engineer for additive manufacturing in metals at Boeing. “That’s our goal through aggressive new machine designs—to scale to larger applications,” he said. Boeing’s use of 3D printing may seem unconventional because of the growing attention on the technology’s consumer applications for things like toys, figurines and sculptures. But it’s not. In industry, “we don’t like to refer to it as ‘3D printing’ because the term additive manufacturing has been around longer and is more accepted,” Dietrich said. For consumers, some of the more prominent 3D printer makers include MakerBot, MakieLab and RepRap; industrial-grade makers include 3D Systems, which also makes lower-cost models, Stratasys, ExOne and EOS. The cost of a 3D printer varies widely. 3D Systems’ Cube, which is designed for home users and hobbyists, starts at around $1,300. But machines built for industrial-grade manufacturing in industries like aerospace, automotive and medical, such as those made by ExOne, can fetch prices as high as $1 million. While it might take up to a year to make some small parts using conventional tools, 3D printing can lessen the processing time to a week. 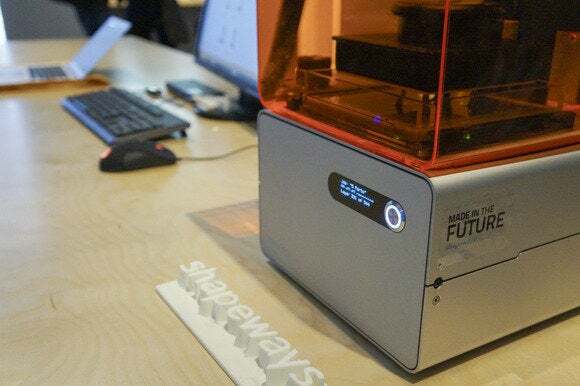 The average selling price for an industrial-grade 3D printer is about $75,000, according to market research compiled by Terry Wohlers, an analyst who studies trends in 3D printing. Most consumer printers go for between $1,500 and $3,000, he said. 3D printing or additive manufacturing offers several advantages over traditional subtractive processes. The biggest benefit, some businesses say, is that the technology allows for speedier, one-off production of products in-house. At Boeing, the team handling additive manufacturing in plastics has cut down its processing time dramatically. While it might take up to a year to make some small parts using conventional tools, 3D printing can lessen the processing time to a week, said Michael Hayes, lead engineer for additive manufacturing in plastics at the company. NASA is another organization that is using 3D printers to experiment. The space agency has been looking at the technology for years, but over the past six months, NASA’s Jet Propulsion Laboratory has been using the technology more frequently to test new concepts for parts that may soon find their way into spacecraft. Located in Pasadena, California, the lab has a dozen 3D printers including consumer models made by companies such as MakerBot, Stratasys and 3D Systems. Make the virtual world tangible. So far, the program’s results have been good. This past summer, mechanical engineers used the printers to create concepts for simple items like table trays. But an actual stand for a webcam was produced too, to be used for conference calls. And engineers realized, using the 3D printers, they could incorporate the same swivel mechanism that was used for the stand into their design for a new spacecraft part for deploying parachutes. “That was the ‘aha’ moment,” Soderstrom said, that the printers could be used to conceive and print parts for actual spacecraft. The swivel part, which has been designed but not manufactured yet, would provide wiggle room to the parachute to reduce the torque or rotational impact when it deploys. Another advantage of having a 3D printer in-house is that it can give a company an easier way to fine-tune designs for new products, Soderstrom said. “It can take you 20 times to get an idea right,” he said. Soderstrom hopes that eventually entire spacecraft could be printed using the technology. The spacecraft would be unmanned, and small, perhaps a flat panel the size of an art book. “Not all spacecraft need to look like the Voyager,” Soderstrom said. For consumer-level 3D printers, the technology is still developing. Depending on the machine, the printed objects are not always polished, and the software to make the designs can be buggy and difficult to learn, Soderstrom said. Software for generating designs for 3D printing can be supplied by the printer vendor, take the form of computer-aided design programs such as Autodesk, or come from large engineering companies like Siemens. Still, Soderstrom recommends that CIOs make the investment in 3D printing and purchase or otherwise obtain several machines on loan. They don’t have to be the most expensive models, he said, but companies should try to identify which business units might see the most benefit from the machines. Companies should try to find somebody who can act as the “IT concierge”—a person with knowledge of the technology who can advise the company how best to use it. “Producing a high-fidelity part on some of the cheaper 3D printers can be hard,” Soderstrom said. “This concierge could help with that.” Certain skills this person may need could include knowing how to work with multiple different materials within a single object, he said. Companies don’t have to be as large as Boeing or NASA to get some use out of 3D printers. The technology is also an option for small-business owners and entrepreneurs looking to make customized designs for prototypes and then print them in small-scale runs. One company making strategic use of 3D printing is shipping and logistics giant UPS. The company, which also makes its services available to smaller customers via storefront operations, has responded to the growing interest in the technology with a program designed to help small businesses and startups that may not have the funds to purchase their own 3D printer. A poll of small-business owners conducted by UPS showed high interest in trying out the technology, particularly among those wanting to create prototypes, artistic renderings or promotional materials. So, in July the company announced the start of a program that UPS said makes it the first nationwide retailer to test 3D printing services in-store. Staples claims to be the first retailer to stock 3D printers for consumers, but UPS says its program makes it the first to offer 3D printing services like computer-aided design consultations in addition to the printing itself. Currently, there are six independently owned UPS store locations offering Stratasys’ uPrint SE Plus printer, an industrial-grade machine. A store in San Diego was the first to get it, followed by locations in Washington, D.C.; Chicago; New York; and outside Dallas. In September, the printer was installed at a location in Menlo Park, California, just off Sand Hill Road in Silicon Valley, a street known for its concentration of venture capital companies backing tech startups. 3D printed fashion via Shapeways. The UPS Store will gather feedback from store owners and customers over the next 12 months and then will decide whether to add printers in additional stores if the test is successful. So far at the San Diego store, costs to the customer have ranged from $10, for lifelike knuckles printed by a medical device developer, to $500 for a prototype printed by a prosthetics company. The biggest factor in determining price is the complexity of the design. The customer brings in a digital file in the STL format to the store. The store then checks to make sure the file is print-ready by running it through a software program. If it is, the customer gets a quote for the printing and labor costs. Sometimes the digital file needs to be reworked or created from scratch. In such cases, the customer can work with a contracted 3D printing designer to iron out the design. Depending on how this meeting goes, it can be a several-step process before a file is ready for printing, said Daniel Remba, the UPS Store’s small-business technology leader, who leads the company’s 3D printing project. So far at the San Diego store, there have been several different types of customers coming in to use the printer, said store owner Burke Jones. They have ranged from small startups to engineers from larger companies, government contractors and other people who just have an interesting idea, he said. One customer wanted a physical 3D replica of his own head, Jones said. There was also a scuba diver who printed a light filter for an underwater lamp and a mountain biker who printed a mount for a camera. For early stage companies, Jones estimates that the store has printed roughly a couple dozen product prototypes. In total, the store has done probably as many as 50 printing jobs for various types of customers, he said, producing 200 different parts. In Menlo Park, the store has completed about 10 jobs with the printer, with at least 25 other inquiries pending. There are other online companies that offer 3D printing services. Two sites are Shapeways and Quickparts, which take files uploaded by the customer and then print the object for them. But the UPS Store project is different because it’s more personal, Jones said. “We get to know the people, and their vision,” he said. 3D Hubs is another company betting that there are people who are interested in 3D printers but don’t own one. The site operates like an Airbnb for 3D printers, by helping people find 3D printers that are owned by other people or businesses nearby. 3D printing is already a crucial element in some large companies’ manufacturing processes. But for smaller companies, the technology’s biggest obstacle may be a lack of awareness about when it’s right to use it, said Pete Brasiliere, an industry analyst with Gartner. Though the desktop machines may not be as advanced, their popularity within the “maker” culture could provide that knowledge to the business world. “The hype around the consumer market has made senior management aware,” Brasiliere said.